A&T will host Howard, Bethune-Cookman and NCCU as it looks for third-straight MEAC title. 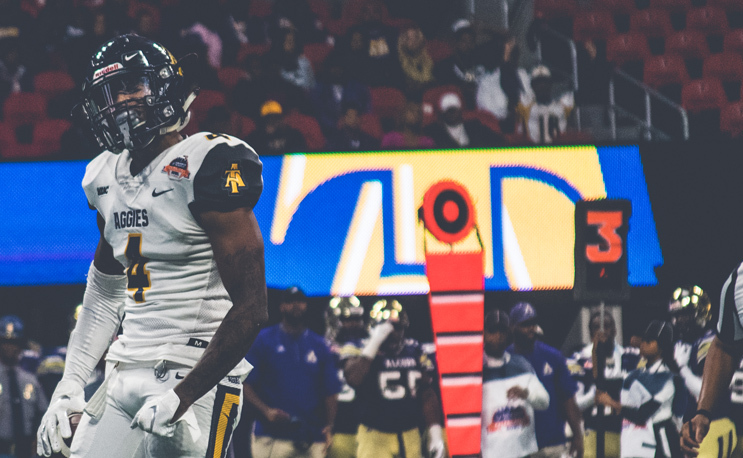 An ACC team, a local PWI rival and a solid FCS program are on tap for North Carolina A&T’s 2019 football schedule, along with the return of an old rival for GHOE. A&T announced its 2019 football schedule on Monday which includes the return of Howard after a two-year absense. The game will take place on October 26 and will serve as the school’s homecoming contest. But before it gets to conference play it must take on the challenge of facing a pair of difficult in-state opponents, including its closest FCS neighbor in Elon. The 2018 FCS playoff participant will travel from Burlington, NC to Greensboro on August 31 to kick off the season. A&T leads the all-time series 7-4. A&T will then hit the road for a pair of games, starting with a visit to Charleston Southern. The program had a down year in 2018 at 5-6 but is a perennial playoff contender. A&T will round out the non-conference season with a trip to Durham, not to take on North Carolina Central but Duke University. It will try to pull off a win against an FBS team for the fourth-straight year after beating Kent State, UNC-Charlotte and East Carolina in the past three seasons. The last time A&T played an ACC opponent was in 2016 when it took a 53-14 loss to North Carolina. From there it will look to secure its third-straight sole possession of the MEAC title. A&T has lost just one conference game since the 2016 season (which does not include last year’s loss to Morgan State) and that was to Florida A&M last fall in Greensboro.